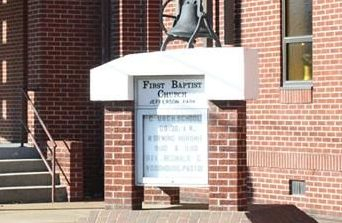 The First Baptist Church Jefferson Park was organized in the Fall of 1918, under the guidance of the Holy Spirit and the inspirational leadership of the late Deacon William and Mrs. Lucy Wooten. Deacon and Mrs. Wooten, along with a small group of other people, came to Jefferson Park from Mulberry Island (now Fort Eustis) in 1918, after they were displaced from their homes by the United States Government. When the government took the Island to establish Fort Eustis, there were about 1,000 people on the island, mostly black. In relocating they scattered in many directions. Some of them went to an area called the Colony, just off downtown Newport News area and some to Jefferson Park area. From information taken from a document written in Mrs. Wooten’s own handwriting, dated 1918, she, Deacon Wooten and the late Mr. And Mrs. Samuel Harris were the first people to move into Jefferson Park from the Island. Their coming to the Park was mainly because of the efforts of Mrs. Ethel Ashe, daughter of Mr. and Mrs. Samuel Harris. Mrs. Ashe was a former resident of Mulberry Island, but at that time was living in Newport News because her husband, the late Trustee William Ashe was in the Army and stationed at Camp Steward in Newport News. Upon hearing the bad news concerning the plight of her parents and the others who had to leave the Island, she began looking for a place for them to stay. Fortunately, for her, one day while shopping she overheard a conversation about a place called Jefferson Park, where land was being set aside for black people to buy. Immediately, she went to the Island and told her parents and others of the good news. Right away, negotiations were made to purchase the land, and soon the move to Jefferson Park began. The Islanders were frustrated over having to leave Mulberry Island for many reasons: They had to start their lives all over; they were uprooted from their homes, their families, and their Church. Most of the Islanders who came to Jefferson Park were members of the Colossian Baptist Church, which was at that time located on the Island. Jefferson Park, like any undeveloped area had no modern conveniences, no public schools, no mail delivery and worst of all, no Church. But, the people were stouthearted and were determined to make the Park a livable place. They worked hard and cleared the land and did whatever else was necessary to make it their home and a place of which they could be proud. However, with all of their striving, they were not satisfied to just clear the land. They wanted a Church. The people missed the singing, the praying, the preaching, and the fellowship they had enjoyed at the Colossian Baptist Church. Not having a Church in which to worship was the greatest frustration for them. However, God had not forgotten them, and His plan, though they did not know it, was already in action. The first place of worship was a very crude building. According to some of the members, the building resembled a wood shed more than it did a Church. Not only did Deacon Wooten build the Church, he and some of the other men also built the pews, the pulpit and the communion table. Kerosene lamps, attached to the bare walls, furnished the faint glimmer of light for the night services. There was no piano, organ, or formal choir. Someone usually led the songs they sang in the group. The leader would start by saying a few words of a song, such as Amazing Grace, how sweet the sound…and the people would answer back with the same words in song. They continued in this manner until the song was completed. For us in today’s society, this type of service is difficult to visualize and for some difficult to appreciate. But for the pioneers of our Church, regardless of the circumstance or the plainness of the building, they were faithful to God, sincere in their commitment and fervent in their worship. As more people moved into the Park, the Church continued to grow. In the people’s efforts to save souls, they often gathered at the little Church and then walked through the Park from house to house, singing songs of praise. Whenever they came to a house where an unsaved person lived, they sang and prayed tirelessly, hoping to persuade the person to come out and “be saved.” Many people did come to know the Lord through these soul-saving campaigns. Baptismal services were held in the James River at a point just off Lincoln Park in lower Newport News. Today, we can be thankful for the zeal exhibited by the early pioneers. REV. ZECHARIAH WHITE: Although Rev. White did not pastor First Baptist Church, Jefferson Park, he was the first Supply Minister to serve during the pioneering days of our Church. Because of this significant role as Supply Minister to the Mission, he was very encouraging and helped to keep the people’s spiritual commitment alive. In 1919, REV. M. MASSENBURG was called as Pastor. Unfortunately, the hand of death took him before he was installed. During the same year the Sunday School and the Choir were organized. Deacons: F.A. Rylander, Johnny Lipford, George Bowler, Theophilus Jordan, Kiah Mabry, John Walker, Lenious Ellis, Samuel Harris, Willie Wynne, Thomas Rhone, and James Turner. Trustees: Obediah Holland, Lenious Ellis, Peter Weaver, William Wooten, William Sadler, Moody Bazley, George Bowler, Johnny Lipford and F.A. Rylander. *Due to the small number of men in the church, many of them had a dual role of Deacon-Trustee. Organizations Formed: Senior Missionary Society and the Senior Usher Board. Person’s Licensed to Preach: F.A. Rylander, William Alston and John Williams. REV. T.H. ASHE (1929-1934): The Church continued to grow under the leadership of Rev. Ashe. Several more people were added to the official staff and new organizations were formed. Deacons: Reuben W. Holmes, Fenton Wrenn, James Borden, Duke Smith, and Robert Summerville. Howard Harris was added sometime during 1934, but not under Rev. Ashe’s tenure. Trustees: Reuben Holmes and William Bruce Ashe. Organizations Formed: Pastor’s Aide Club, Baptist Training Union, Junior Choir and Youth Organizations. REV. F.A. RYLANDER (1937-1938): Rev. Rylander was called and licensed to preach while still a member of our Church. Although he served only one year as Pastor in Jefferson Park, he pastored several other Peninsula Churches for many years. These included Colossian Baptist Church, out of which came the early pioneers of our Church. Rev. Rylander died June 10, 1970. Deacons: William Knight, Jasper W. Jackson, Ernest Hunt, Robert Jones, Norman Givens, Willie Richmond, Lawrence Harris, Jake Shell, Eddie Shropshire and Brother Wardie. Trustees: Plummer Williams, Herman Hawes, Edgar Greene, Mark Belcher, James Smith, Preston Harris and Linwood Harris. Organizations Formed: Junior Usher Board and the Second Senior Choir. Person’s Licensed to Preach: Brother Lenious Ellis and Brother Wardie. Deacons: Cecil Vaughan and James Holmes. Pastor’s Aide Society, Junior Missionary and the Deaconess Board. Deacons: Clarence Acker, Kenneth Baines, David Harris, Herman Hawes, Joseph Blake, Lindell Toombs, Walter Jackson, Melvin Vaughan, Curtis Wilder, Perry Crawley, James Belcher, Vernon Carroll, Edgar Greene, William Singleton, Curtis Leggett, Freddie Farrior and Wallace Belcher. In 1995, Rev. Schiele announced three “Walking Deacons”: Mr. Richard Anthony, Mr. Joey Bowser and Mr. Roderick Thomas. Trustees: Henry Maxwell, William Enoch, Roland Gatling, Theodore Greene, James King, Wilbert Ashe Sr., William Thomas, Anthony Chamberlain, Calvin Gore, Helena Harris, Willie I. Hunt, Gwendolyn Ricks, William Hart, Theodore Moyler Jr., James Eaton, James Bullock and John Jenkins. Offices Created: Finance Committee, Church Office; James Holmes, Clerk; Sandra L.Macklin, Asst. Clerks; Loretta Blowe and Theresa Nickens, Secretaries; Helen Banks, Theresa Boyd, Veronica Flood, JoAnn Wright, Evelyn Hampton, Belinda Pickens, Marva Sanders, Christine Keesee, Elizabeth Cunningham, Shelia Ashe, Toni Echols, Hattye Perry. Organizations Formed: Church Interest Group, Men’s Club and Male Chorus were reorganized, Junior Nurses Aide, Floral Committee, W. B. Schiele Gospel Chorus, Chancel Choir, Boy Scouts, The Voice Newsletter, Fellowship Committee, Hospitality Committee and the Gleaner Board. 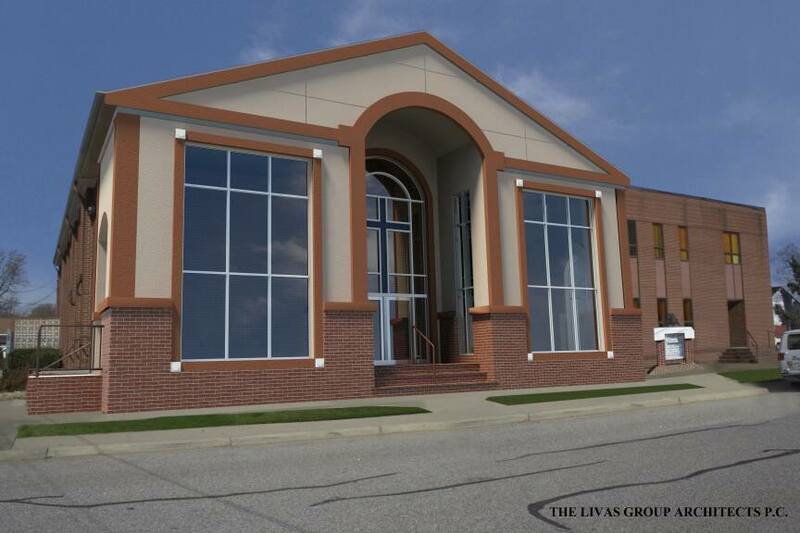 Persons Licensed to Preach: Dr. Henry Maxwell served as Associate Minister and is presently the Pastor of Ivy Baptist Church in Newport News, Rev. James Person served as Pastor of Fountain Baptist Church in Hampton and was also one of our Associate Ministers, Rev. Clarence Acker III, Rev. Johnny Barnes, Rev. Percell Roberts Jr., Rev. Larry Hicks and Rev. Theodore Moyler Jr. Associate Ministers of First Baptist Church Jefferson Park: Rev. James R. Person (deceased), Rev. James O. Parker, Rev. Percell Roberts and Rev. Larry Vaughn (Rev. O. V. Alston, Rev. Dawson, Rev. J. H. Williams, Rev. Lenious Ellis and Rev. Theodore Moyler, all deceased). Persons Licensed to Preach: Dr. Barbara Brehon, Rev. Matthew Paige, Rev. Ida Thompson, Minister Jeffrey Thomas, Evangelist Gennie Graves. Minister Moses Ware, Dr. Aljean Lyons, Minister Jacqueline Greene, Reverend Eugene K. Austin, and Evangelist Valencia Austin. Deacons: Anthony Chamberlain, William J. Cox, Calvin Gore, Curtis Roberts, James Calhoun, Walter Greene, Ronald Dixon, Garry Jackson and Leon Turner. Deaconess: Marzenia Bacchus, Carla Cox, Patricia Gore, Pauline Jones, Shirley Roberts, Lillian Chamberlain, Bessie Calhoun, Deborah Dixon, Dianne Gilbert, LaTanya Graham and Yvette Turner. Trustees: Wilbert Ashe, Jr.( deceased) Kenny Branch, Avon Cornelius, Robert Jones, Katherine Ladson, Wesley Maxwell, Wayne Williams, Paul Ellis, Blanch Green, Nita Langford, Crysal Spragans, Shelly Thomas and Iona Robinson. Additional Ministries: Pastor’s Support & Appreciation, Wedding coordinators, Tape, Health, Evangelism, Sister to Sister, Transportation, Parking Lot, Culinary, Junior Gleaners, Junior Deacons, Junior Trustees, and 8 A. M. Choir. The members of the First Baptist Church Jefferson Park dedicated and renamed the Fellowship Hall in memory of the late Reverend. Dr. W. Bernard Schiele. Dr. Schiele had been our Shepherd for more than 41 years. 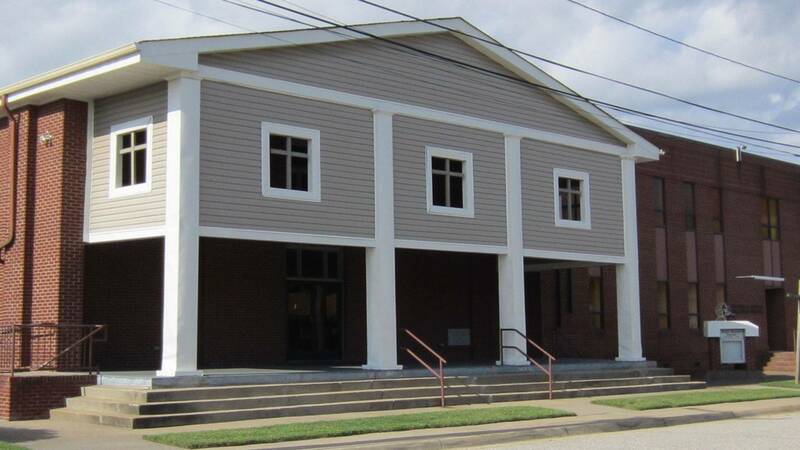 On Sunday August 3, 2003, The Fellowship Hall was renamed the “William B. Schiele Christian Center”. The members of First Baptist Church Jefferson Park celebrated a week of Re-dedication services to commemorate the restoration of our place of worship. We were truly grateful for the opportunity to honor, worship, and glorify God for the wonderful things that He has done.